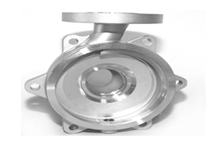 We are one of the leading Aluminum Casting Manufacturers in India. 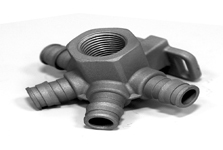 Our sustained efforts and innovations offer a colossal collection of aluminum casting which is manufactured using different types of molding procedures. 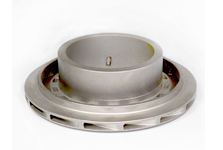 The aluminum metal castings are appropriately made-up from the greater quality aluminum and alloys. These are often used in diverse industries like oil, petroleum, marine, engineering and chemicals etc. Above and beyond dependable manufacturers of Aluminum Castings, we are in the midst of the well-known aluminum castings exporters from India. They are typically used as bearings in mining equipments in corrosive water conditions and for unlined bearings under deprived lubrication conditions.